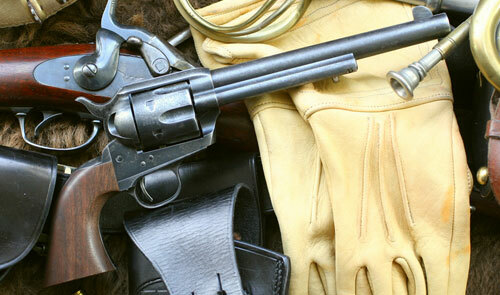 How is an Old West Single Action made? The USFA Single Action will be featured in an episode of “How Do They Do It?” that airs later this month on the Science Channel. Spokesman and President of USFA®, Douglas Donnelly said a film production crew spent a day in March filming at USFA’s state-of-the-art plant in Hartford, CT.
Donnelly is a regular viewer of the show and welcomed the chance to “to showcase his American craftsmanship.” USFA Single Actions are built by hand and by using high tech machinery. This combination of technology and workmanship produces a high quality product with beautiful finish and outstanding attention to detail. The first episode on the Science Channel featuring USFA® will air on Friday July, 30th at 10.00pm. And then re-aired again on Saturday July, 31st at 1.00am and 5.00am, and then Saturday August, 21st at 7.00pm (all Eastern Standard Time).